With the start of spring (in the Northern Hemisphere) just over a month away, here’s a video we came across that shows how to make a grass day bed. 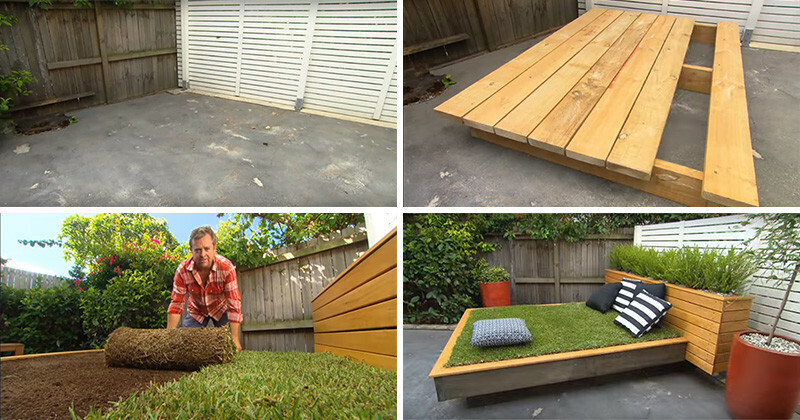 Jason Hodges, a landscape gardener on Australian TV show Better Homes & Gardens, shows just how easy it can be to add a patch of grass to an otherwise concrete courtyard. Watch the video to learn how to make a grassy day bed for yourself.